Jim Berry has been my legal advisor since 1997. He and his firm guided me through a number of complicated multi-million dollar mergers, disposals and acquisitions over the last 18 years. This included the sale of a company to CHS Electronics Inc, a joint Venture with Brightstar Inc, the disposal of Aptec Mobile, the sale of shares to DIFC Investments and it’s subsequent purchase, the acquisition of Techdata Middle East, the sale of Aptec Holdings to Ingram Micro Inc, a Fortune 100 company and the sale of Arabian Applied Technology to Ingram Micro. Over the years I found James Berry Law to be a trusted and reliable partner in all my corporate affairs. I have referred many trusted clients to James in the past and he has always acted 100% in their best interests. He is an honest and knowledgeable man who has a very strong team around him at James Berry & Associates. Would never hesitate in recommending him to anybody. James Berry, Managing Partner of James Berry & Associates, graduated from Bristol University in 1973 and was called to the Bar on 30th January 1975. He obtained a Masters Degree in International Business Law from Exeter University in 1981. 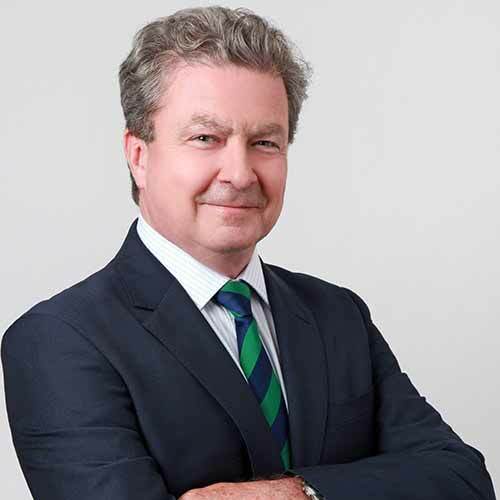 He had several years' experience in Oil and Gas in the UK North Sea and Qatar before moving to Dubai where he established JBA in 1989, specializing in Corporate and Commercial law, specifically international trade and transportation, construction, energy, banking and finance, mergers and acquisitions, including establishing commercial and industrial joint ventures and companies in the UAE and elsewhere in the Middle East, applying local laws and regulations to such arrangements.